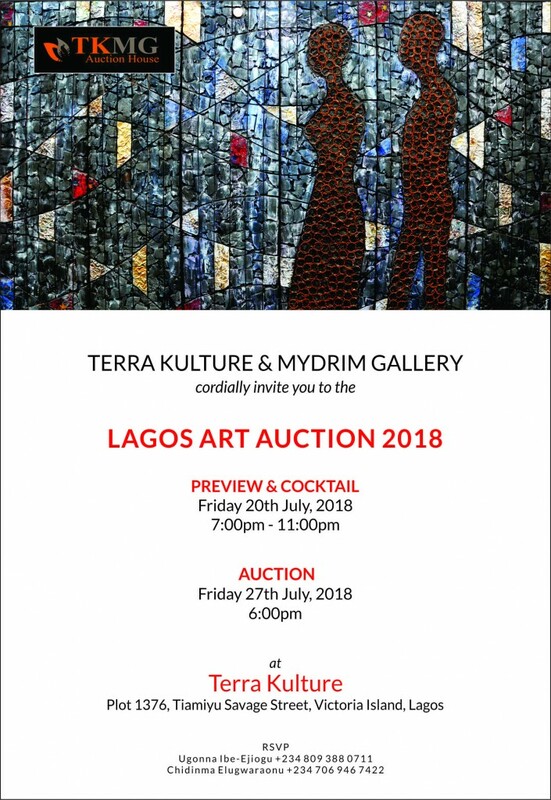 Terra Kulture Mydrim Gallery Art Auction (TKMG) – Nigeria’s Foremost Indigenous Art Auction House – celebrates Nigeria’s cultural heritage through the visual arts by focusing on the selection and sale of exquisite pieces at their annual art auction. 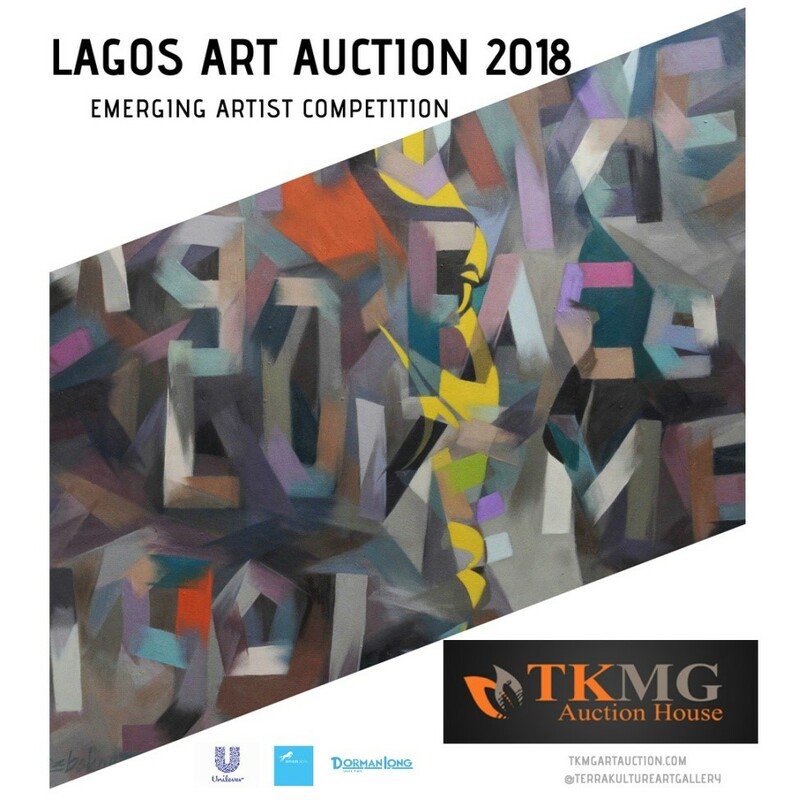 This year, TKMG Art Auction is set to hold its first ever competition to give two artists a chance of showing their works at the Lagos Art Auction 2018 while five semi-finalists will have their works featured on the Terra Kulture Art Gallery Instagram page. TKMG Auction House will choose 5 Semi-Finalists and their works will be featured on @terrakultureartgallery IG page. The two artists will get the opportunity to showcase their work at the opening night preview of the Lagos Art Auction. 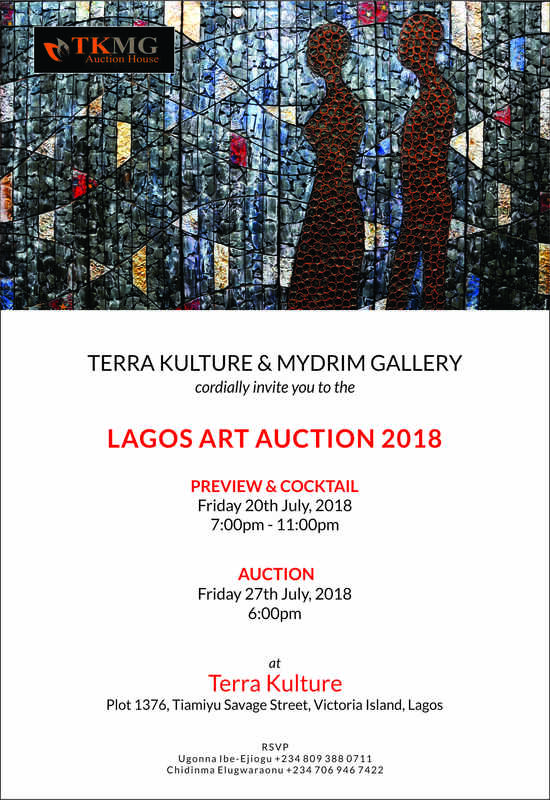 The Lagos Art Auction is set to hold its 9th auction on the 27th of July, 2018. The event will feature a carefully curated collection of some of West Africa’s most notable artists.